Five years is nothing to sneeze at! It’s a long time, no matter how quickly it may have seemed to pass. We think that if you want a 5-year anniversary party, go for it—because when you’re married, every year should be celebrated. With so many couples getting divorced left and right, even a marriage that has lasted five years is impressive these days. Even though you and your husband or wife will be celebrating with others, it’s a great chance to reflect on your five years together as a married couple. As you’re surrounded by your guests all having a great time, you can take in and enjoy the life you’ve made for yourselves and the lives you’re a part of. The traditional 5-year wedding anniversary symbol is wood, which symbolizes strength and longevity. Wood also happens to make absolutely gorgeous décor, when done right. With a little creativity (or with the help of an event planner), your 5-year wedding anniversary party can look truly stunning—and the wood will remind everyone that it’s been five years! This one may sound self-serving, but it’s actually a beautiful thing. When you’re in love and in a marriage, why not celebrate it? There’s nothing wrong with reminding your friends and family how happy you are together. If they all love you and are happy for you too, they will be glad to join you in celebration. Some couples even choose to renew their vows at their 5-year anniversary. While some may think it’s too soon, we politely disagree. True love is always something to be celebrated. If for no other reason, celebrating your 5-year wedding anniversary is a great excuse to get everyone together and throw a fantastic party. Amazing food, fun music, friends and family…what could be better? If you decide to throw a 5-year anniversary, you’re probably going to hear this a few times: “Why are you celebrating five years?” If friends and family ask you this, explain to them using the reasons on this list. After all, they’re great reasons! 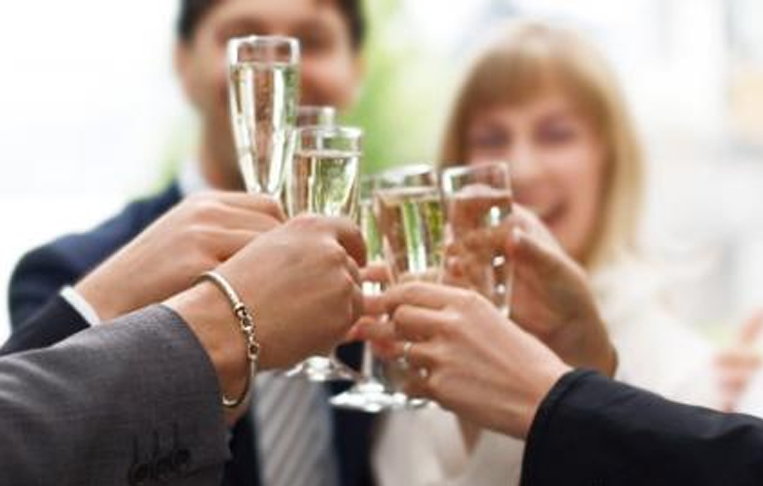 At Hollywood Banquet Hall, we’ve hosted parties of all kinds—including anniversaries. If you’re looking for the perfect Los Angeles event venue for your 5-year wedding anniversary (or any other event), please don’t hesitate to contact us for our availability and details. We look forward to hearing from you!